also directed. Honors include a Writer’s Guild Award, La MaMa Playwright Award, Berrilla Kerr Award and two-time O’Neill Center finalist. He has won fellowships at Yaddo and St. James Cavalier in Malta. Eric is Artistic Director of Orange Thoughts Productions, a not-for-profit theater & film company in New York City. Shengold and Lane are the editors ofPlays for ActressesandTake Ten: New Ten-Minute Plays, both in Vintage. 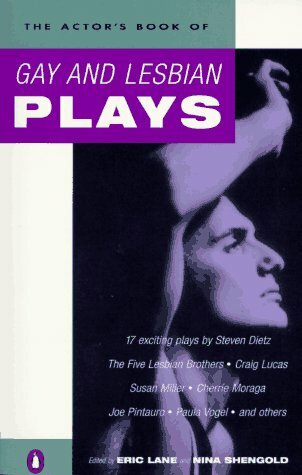 For Penguin they editedMoving Parts: Monologues from Contemporary Plays,The Actor's Book of Scenes from New Plays, andThe Actor's Book of Gay & Lesbian Plays, which was nominated for the Lambda Literary Award.